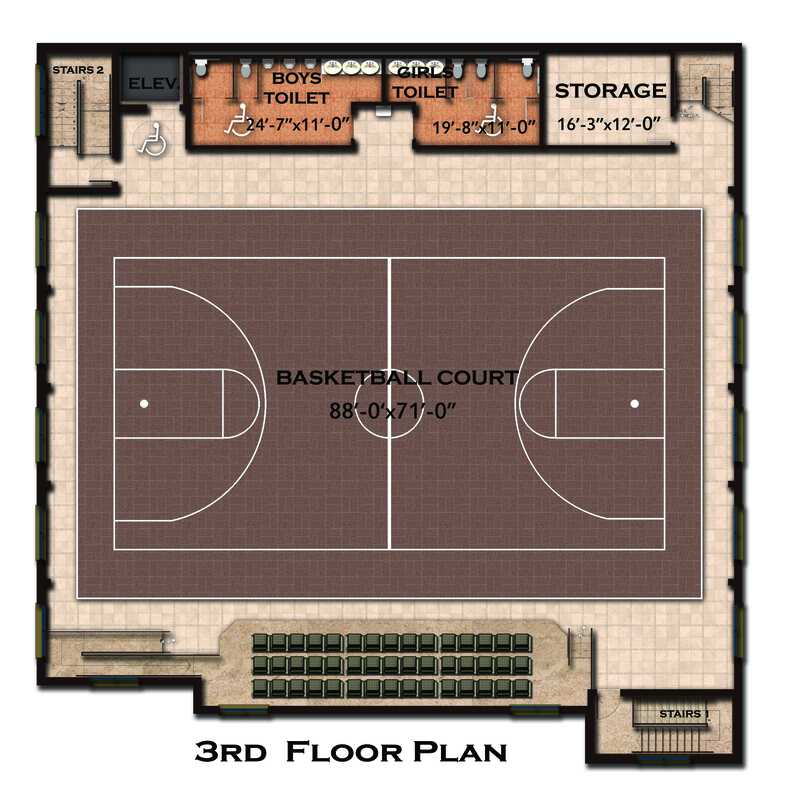 St. Mark’s congratulates all on the start of the construction of St. Mark Parish Center. 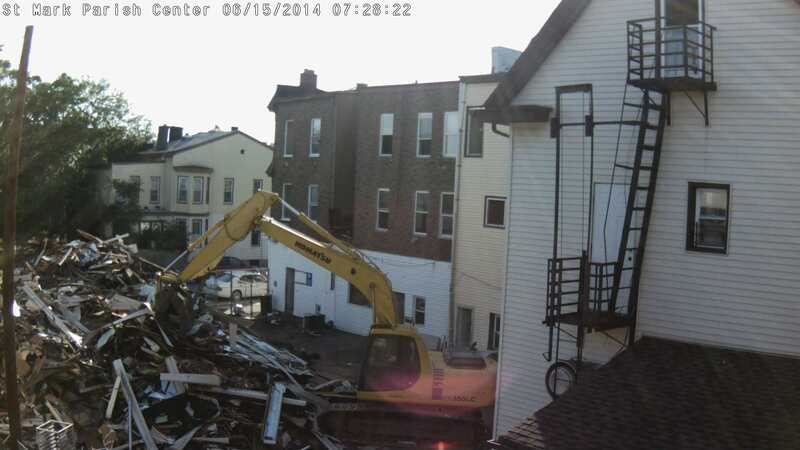 You can follow the progress of the work by live cam. The demolition is scheduled to last for there weeks. For safety reasons, no one is allowed to enter the project site or be in contact with workers on site. Please continue to pray and to support this project for the glory of God’s name. 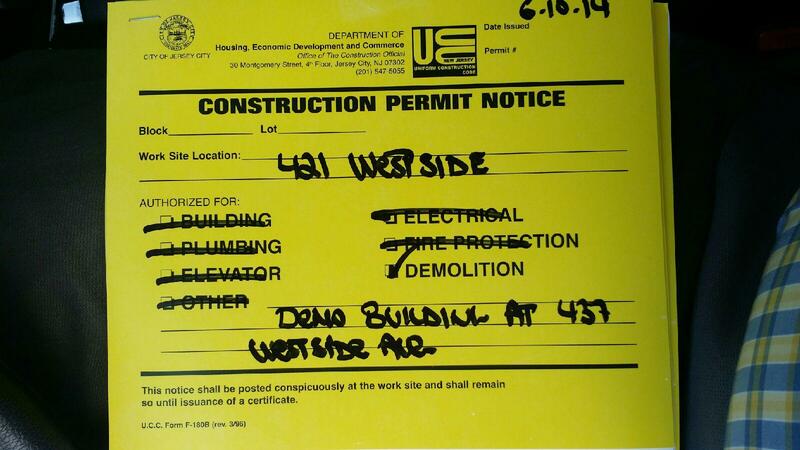 The following permits were received from the building department on June 10th, 2014. 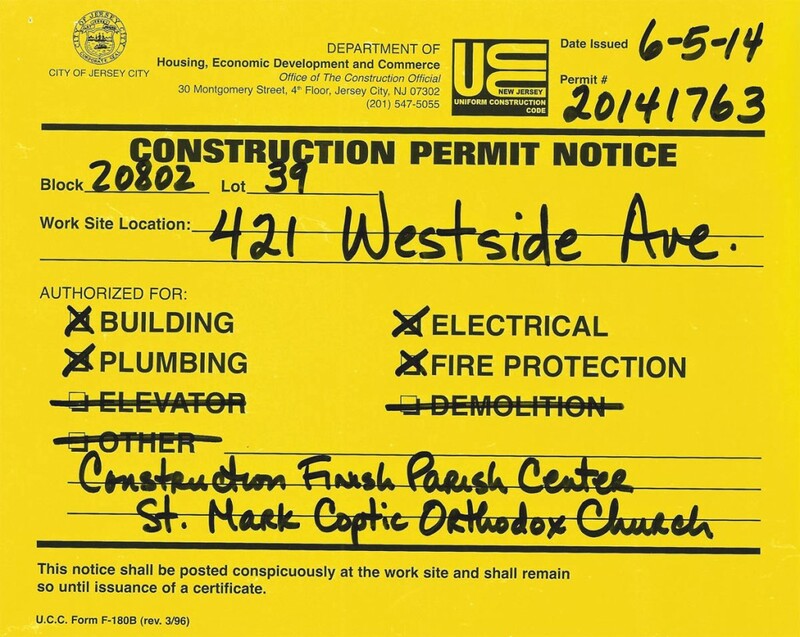 We thank God that we have received the construction permit for the new building and hope to see you this Sunday, June 8 as we officially start the construction project with our Groundbreaking Ceremony at noon. 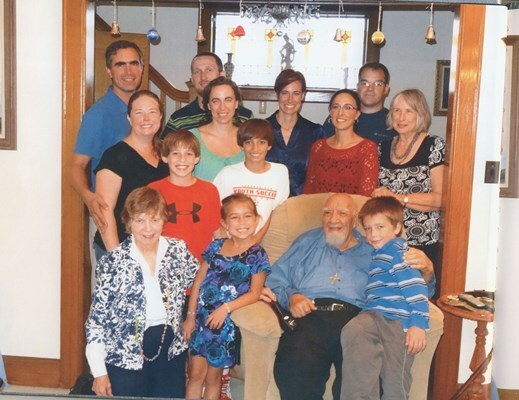 Dr. Maher (Michael) Kamell passed away peacefully at his home on Monday, May 5, 2014. 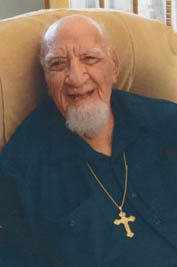 Dr. Maher played a key role in the founding of St. Mark’s in 1970. Dr. Maher and his wife opened their house to newcomers and helped new immigrants who came to New Jersey. He authored many books, monographs and articles in French, English and Arabic in the field of psychology, education, philosophy, religion, aesthetics and Middle East studies. We remember Dr. Maher’s love and service to St. Mark’s and its congregation and ask for the repose of his soul. We received the following project update from the construction management company and would like to share with you. 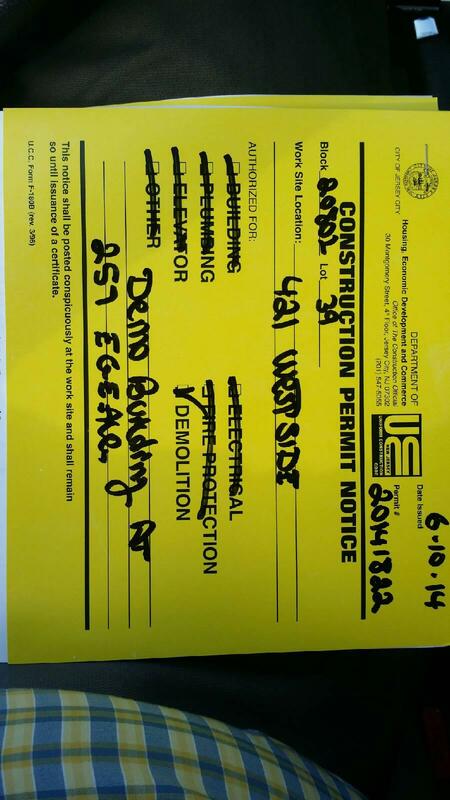 Underground Storage Tank permits or certification that no tanks exist: the tanks were removed. determine if there is any contamination due to the tank or not it, the investigation started 09-2013 to November, 23-2013. 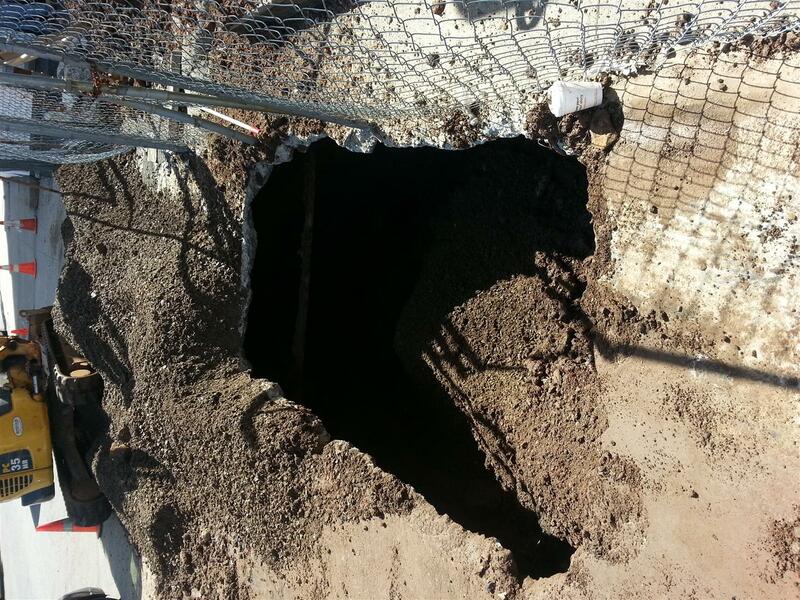 Due to the investigation results, the soil was contaminated. Removal, disposal and replacement of the soil were required and site assessment and environmental controls were involved. 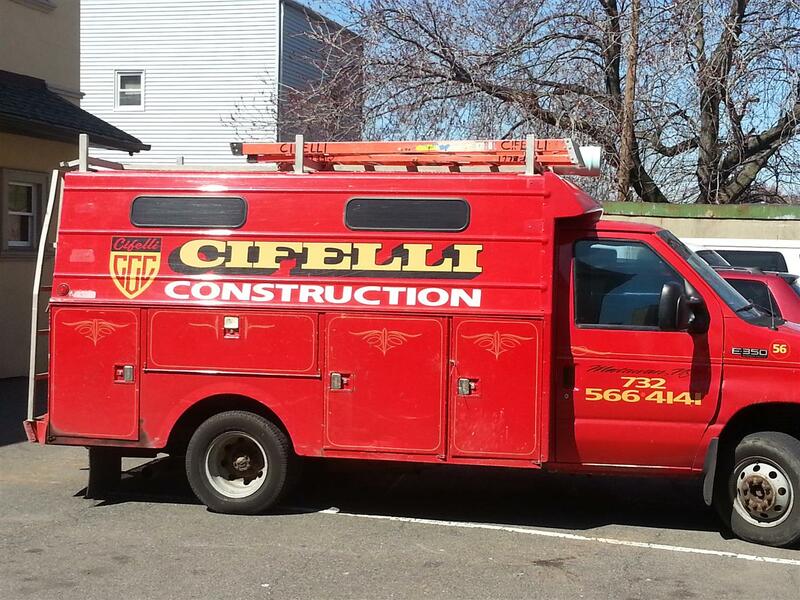 Removal of gas and electric services. Removals of the services were on hold due to the bank loan approval. The letters were submitted to PSEG to terminate the service on 1-15-2013. The process usually take from 2-4 months. 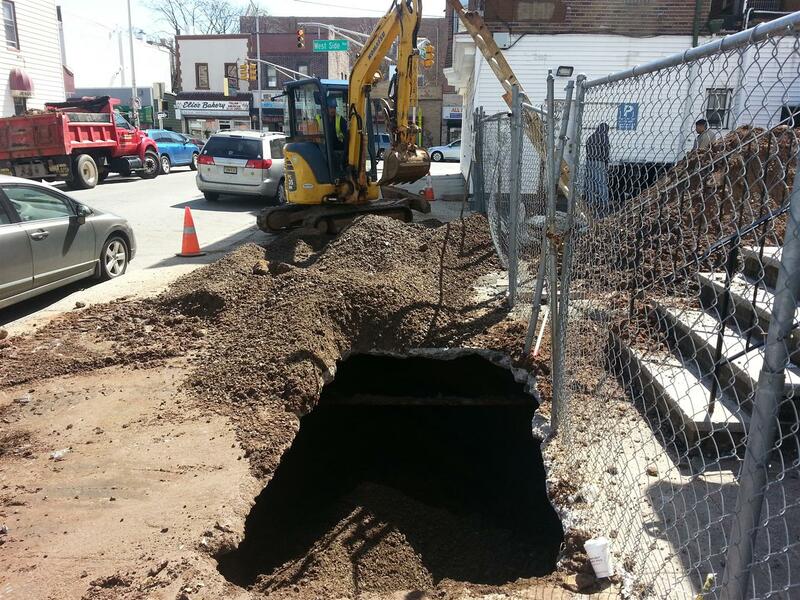 Permits and request to Jersey City Public Work in order to close and cut the street to cap the water and sewer. 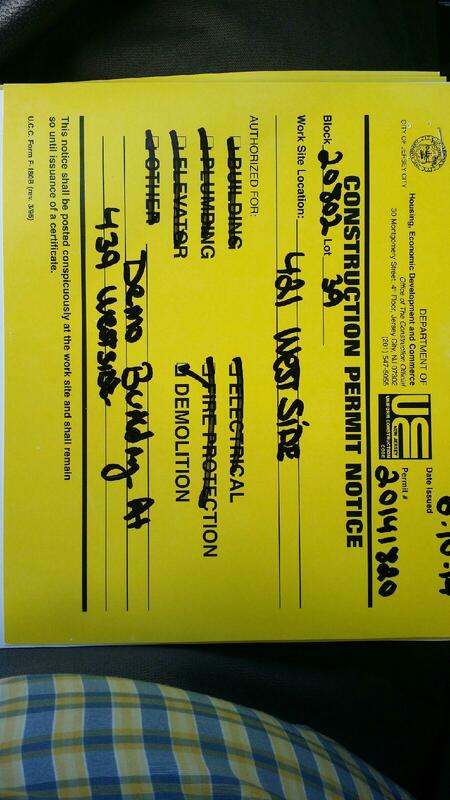 Permits were submitted 04-01-2014. “stating that the requirements of USEPA 40 CFR 61 subpart M . have or shall be met. The design plans were completed and finalized to accommodate the church needs. The Plans were submitted for Soil erosion approval. 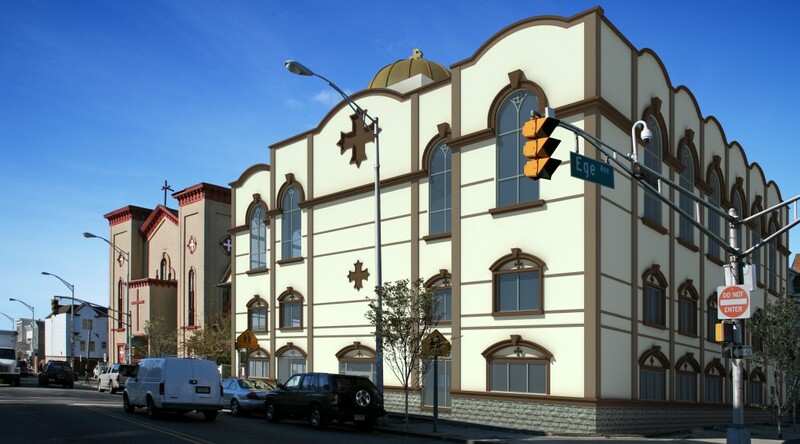 The plans were submitted for MUA approval 1—15-2013, approvals were received by 02-21-2014. 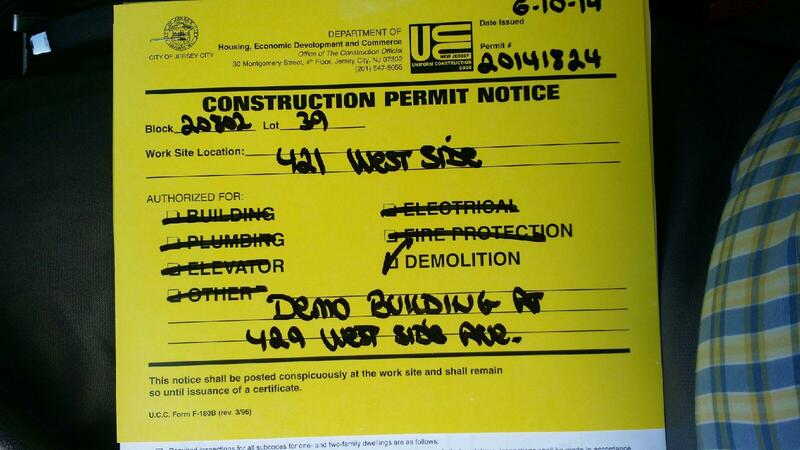 The plans were submitted to Township approval 02-24-2014. Initial review for the plane were received by 03-03-2014. The plans were revised to comply with local jurisdiction by 04-11-2014. Building is three stories above ground with footprint of 7,763 SF. Total building area is 23,289 SF. Building’s frame is structural steel with concrete floors (non-combustible material). 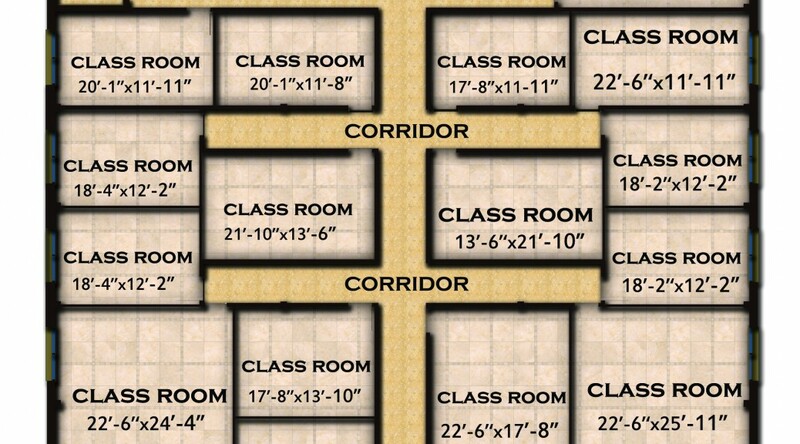 Building elevations are stucco finish with 5 feet of brick wainscot. Building is provided with an elevator (2500 LB). 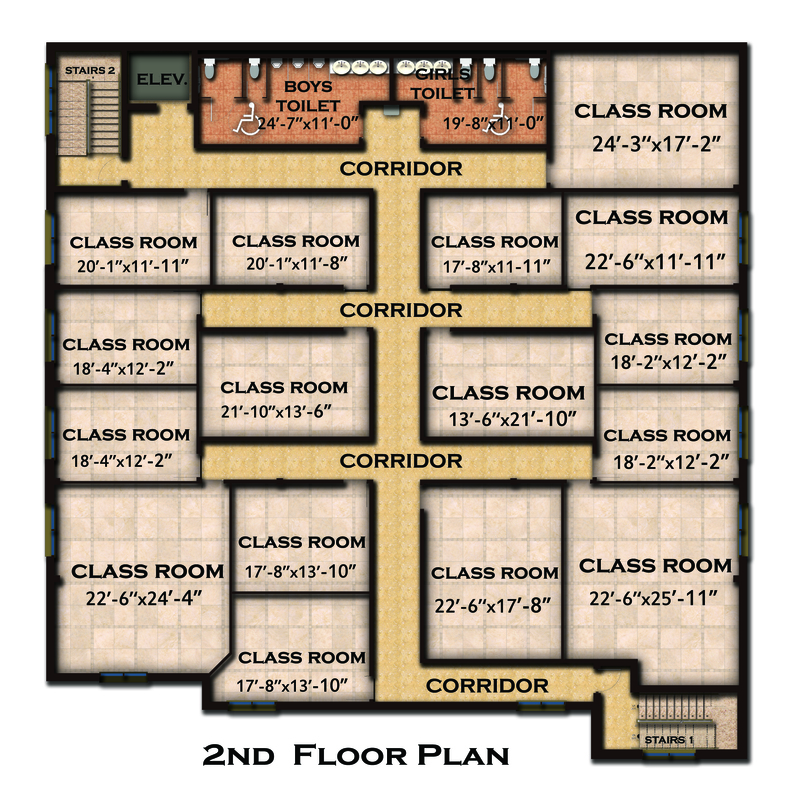 First floor contains ± 4000 SF. 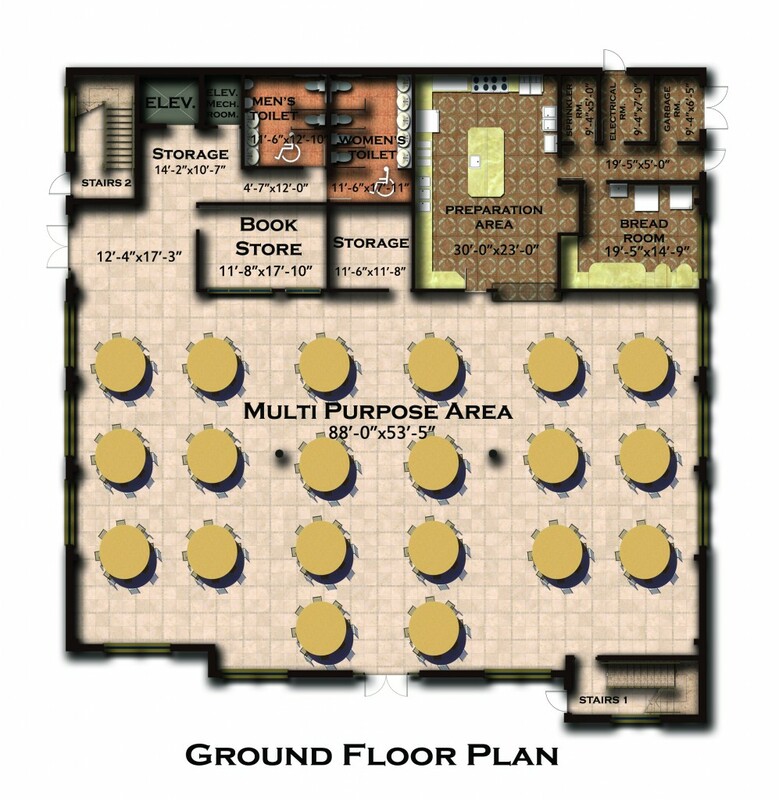 Multi-purpose hall, kitchen, bookstore and storage. 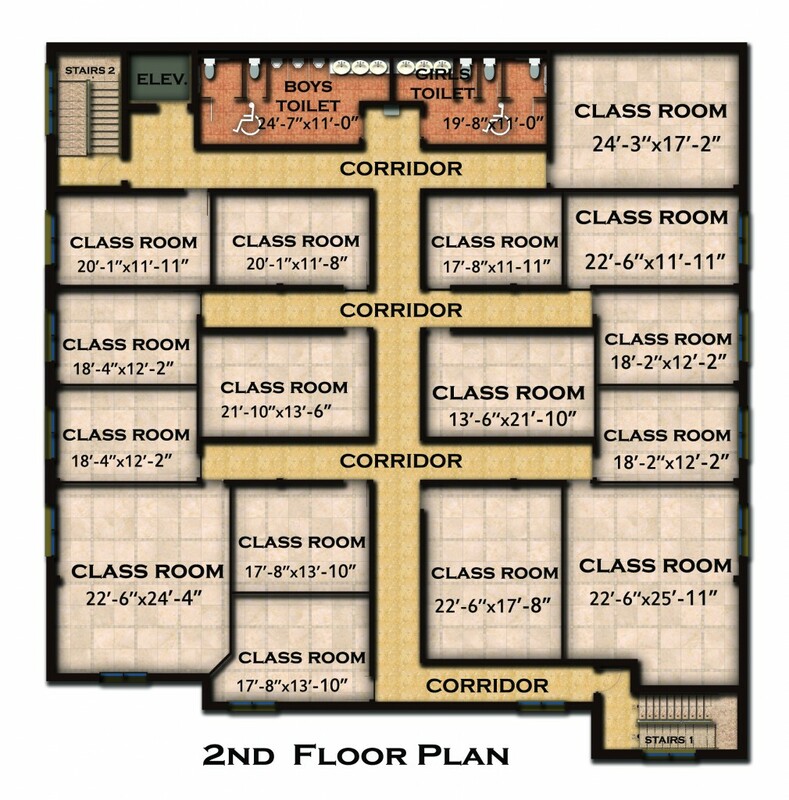 Second floor has 16 Sunday School classrooms and conference halls. Third floor is Multi-purpose for church and youth activities. The Lord has moved the hearts of many to support the progress or our Cheerful Giver Campaign. Among the list of Cheerful Givers, some of the needy families and people who came from Egypt insisted to contribute. The list includes many names with heroic stories. Some of them are single parents, people who sold their jewelry, students who donated their entire internship’s wages and people who got loans to donate. Such amazing people left no excuse for those who did not donate cheerfully and generously until now. Donate now to show your support. 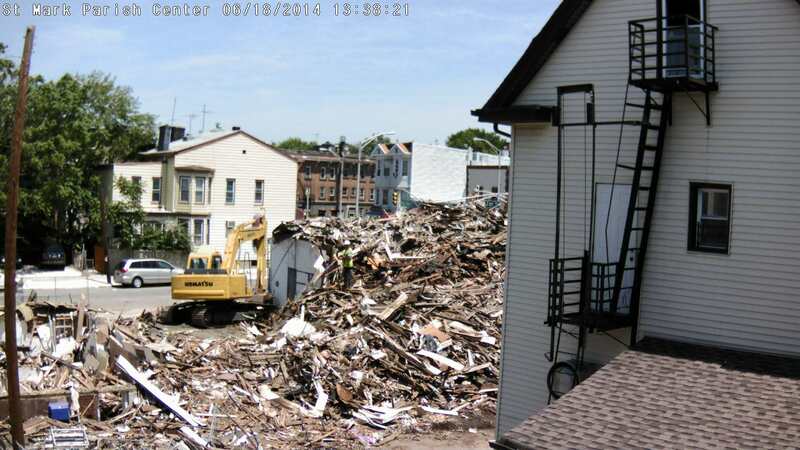 Contractors doing final soil cleanup on Ege Ave before demolition. Next step is cutting off water and sewer pipes scheduled for this Thursday. Final step is pre-demolition extermination and demolition shortly after. Fr. 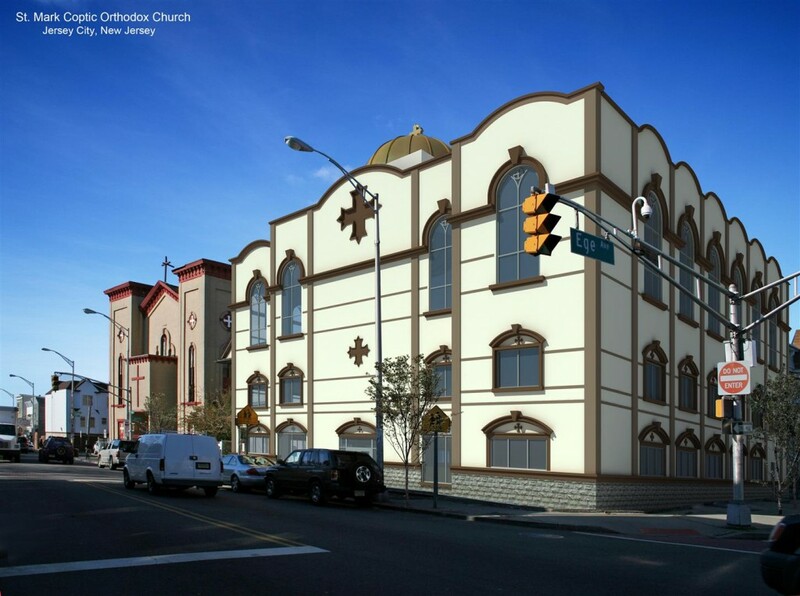 Abraam announced A Call for Cheerful Givers to raise funds for the church’s new building. The campaign calls on the Almighty God to speak in the heart of 400 cheerful givers to each give $5,000.